The best thing about summer is the food. I love basil and tomatoes, mangoes and peaches, berries and cherries and chillies. But what I love most is feasting on food I’ve grown myself. The problem is that I’ve got a concrete backyard so I’m limited to a few pots and hanging baskets. I’ve also got decidedly un-green fingers. But with the festive season leaving the family and me a bit out of whack, I did some research and found I could plant my way to better health. The ibook Grow Your Own Medicine: A Guide to Growing Health-Giving Plants in Your Own Backyard by Mim Biem has inspired me to give gardening another go. So here’s a run down of the nourishing herbs and foods I’ll be attempting to grow in Bec’s backyard. Basil – goes with almost everything, but is also a powerful antispasmodic, antiviral, antibacterial stomach soother. Chilli – improves blood sugar levels, heart health and boosts circulation. Fennel – aids nausea, bloating and helps digestion. The seeds are the richest source. Garlic – strengthens the immune system, good for blood circulation, colds and flu. Lavender – soothes and calms (not a food I hear you cry? Try lavender scones – they’re delicious). Mint – great for digestion, circulation and nausea. Parsley – good for liver function, boosting the immune system and a source of iron and vitamin A.
Rosemary – antiseptic, antibacterial, cleansing and detoxes the body, supports the liver and combats cirrhosis. Strawberries – full of antioxidants that also help to lower blood sugar levels. Tomatoes – full of vitamin C as well as lycopene, which can prevent certain types of cancer. By growing your own you’re being nurturing your body, your tastebuds, your planet and your wallet. What are you waiting for? Get down and dirty. This entry was posted in antioxidants, Diet and nutrition, gardening, immune system, sustainability, vegetarian, Vitamins and supplements on 22 December 2011 by Bec Cavalôt. Ah, the festive season. Apparently ’tis the season to be jolly. Sorry if I sound like Scrooge but I’m just not feeling it. The media’s hung up on fiscal stress this festive season but it’s not my pocket that’s suffering. I braved my local shopping centre this week. I got shoved in the lift, elbowed in Target and scowled at in the supermarket. At home, heightened expectations of ‘family time’ or feelings of isolation, the pressure to shell out and free-flowing booze all add up to a serious health (and wellbeing) hazard. Be realistic. If you bicker with the family all year round, don’t expect Christmas with The Waltons. Keep family gatherings short, don’t discuss politics or religion or parenting. Don’t get too drunk. Send everyone on their way with a smile. Then bolt the door and breathe. Say no. No, you don’t have to go to every Christmas party. No, you don’t have to buy presents for the cousins you haven’t spoken to all year. No, you don’t have to make a croquembouche. Cut yourself some slack. Maintain healthy habits. Whether it’s alcohol or food, over indulgence is all too easy, but hangovers and an expanding waistline will just add guilt to the mix. Make “everything in moderation” your mantra, get plenty of sleep and make time for some green exercise. Take a break. Christmas can end up being all about other people but its essential that you take some time for you. Meditate, take a walk, listen to music, read a book, breathe deeply. Remember, it’s just one day of the year. Be good to yourself this Christmas. And please, don’t go shopping without full body armour. 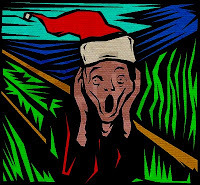 This entry was posted in Anxiety, breathing exercises, Christmas, Diet and nutrition, guilt, Relaxation and fitness, stress on 15 December 2011 by Bec Cavalôt. It’s 4pm on a sunny Tuesday. My 19-month-old has just mastered climbing the steps to the slide. But no one’s here to watch my genius in action. The park’s deserted. Where are all the kids? Apparently they’re at yoga, football practice, ballet, Italian lessons or surfing the internet. And that’s just the pre-schoolers. They have structure and schedules. They have committed parents. They’re going to grow up to be a success! I didn’t shell out for gymbaroo. I left it too late to enrol him in swimming lessons. So far he’s unilingual. Is my baby going to get left behind? Of course, I went to my old friend Google for affirmation and found Carl Honoré, author and champion of the Slow Parenting movement. According to Honoré, “hyper-parents” who have their foot on the accelerated learning pedal could be creating stressed-out kids who have so much adult-dictated routine that they never learn to stand on their own two feet. As usual, it’s all about balance, but this time it’s balance that seems achievable. I’m going to remain calm. To talk and read to my boy and give him the time and space to think. It’ll be hard, but I’ll let him take a few risks. Perhaps even allow him to fail occasionally. I’m going to try and treat him as a person rather than a project. The fact is he’s the one who’s happy, healthy and hang-up free. By slowing my parenting down, I might just learn something from my little genius. This entry was posted in Anxiety, child, guilt, motherhood, slow parenting, stress, work/life balance on 9 December 2011 by Bec Cavalôt. 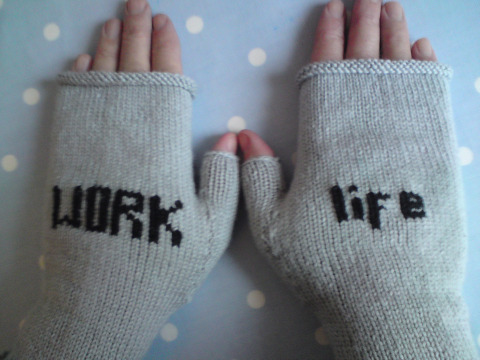 As 2011 comes to an end, I’ve been thinking about the ‘work/life balance’ phenomenon. What is it? Where can I get it? And how can I keep hold of it? Right now, my scales are tipped heavily towards ‘work’ and I’m feeling somewhat undernourished in the ‘life’ department (family, friends, exercise, spirituality and fun). Failing to achieve the elusive work/life equilibrium was beginning to make me feel, well, like a failure! So I was relieved when I stumbled across Michael Van Osch, a coach, author and speaker who believes that ‘work/life balance’ is total fallacy. With a mere 20% of us feeling truly fulfilled by our work, it’s no wonder that ‘balance’ feels unattainable. Instead, Van Osch suggests we shift our focus to ‘alignment’; aligning who we are – our passions, strengths, preferences and goals – with what we do for a living. This makes perfect sense to me. Delving into my work history has been a little painful, but I’ve discovered that I feel happy, energised and fulfilled when I’m able to work creatively and autonomously on projects that feel ‘worthwhile’ in an environment where I feel valued. Simple eh? Maybe not, but it’s given me something to work towards. This week I’ve resumed both my yoga practice and writing this blog. These small but significant steps haven’t brought me to alignment quite yet, but they’re definitely taking me in the right direction. How ‘aligned’ are you? I’d love to hear your insights, thoughts and tips. 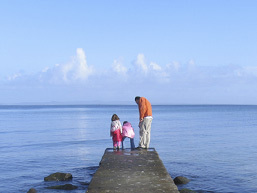 This entry was posted in happiness, New Thought, stress, work/life balance on 1 December 2011 by Bec Cavalôt.